Between our event planners and our expert staff, we’ll do the heavy lifting so you don’t have to. 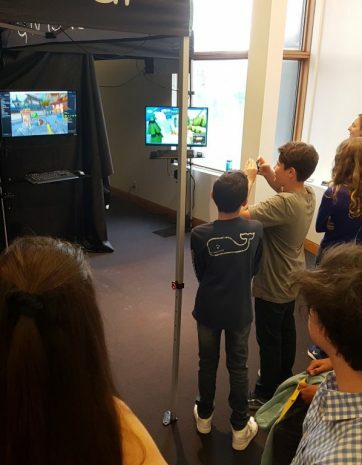 Top of the line equipment to bring you the best experiences as well as unmatched customer service so your guests remember this moment for the rest of their lives. Trust us. We’ve been doing this for a long time. Easily our most requested type of event. 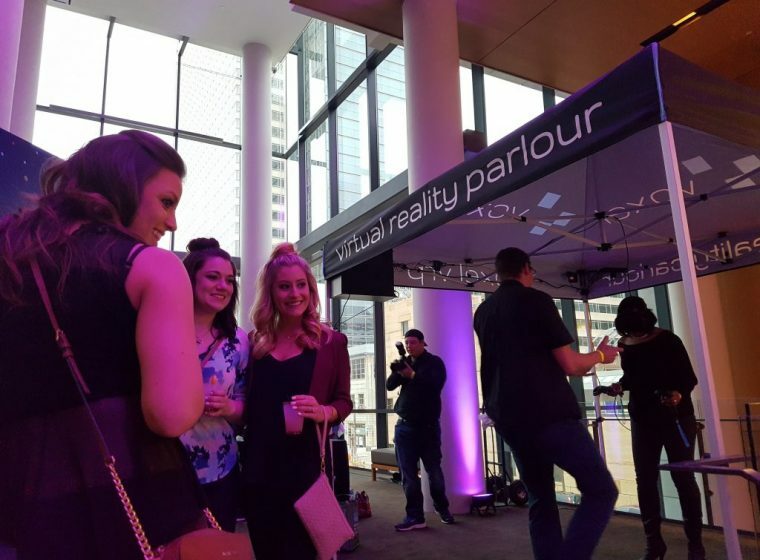 Make your party THE event of a lifetime with the mind shattering experiences that VR can bring to your night. Seamless integration to your vision and endless memories. You’ve come to the right place. 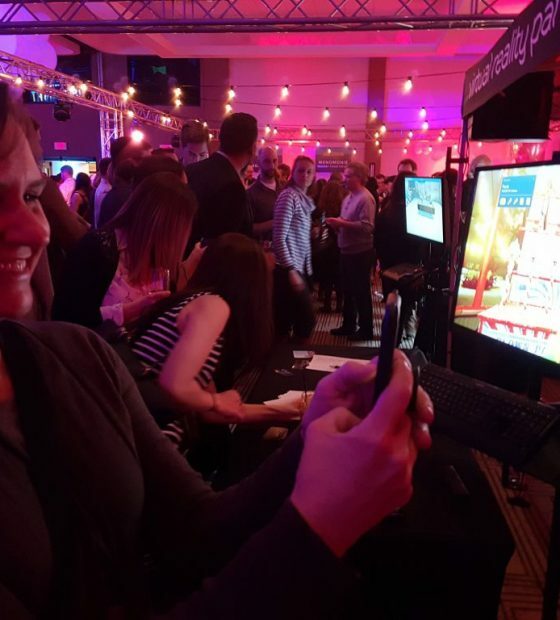 Whether you have a VR concept you want to share with the world, you’re making a pitch to the team, or just want to liven up your corporate event, we’ve been there and can help with all of the above and more. 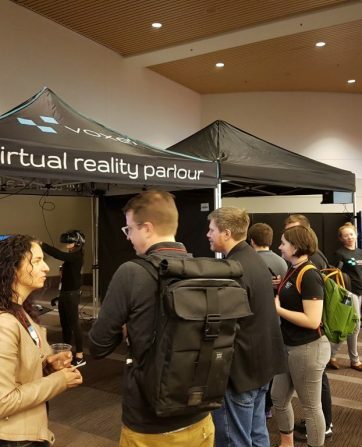 Our professional, custom built VR rigs are suited for any environment and are sure to highlight everything about VR that you’re looking for. The cream of the crop; the best of the best. We’re here to make you the hero of event planning. No one’s going to forget who brought VR to the party and elevated the night beyond belief. You want a life changing, what-have-I-been-doing-with-my-life experience for your guests. Look no further. Voxel Virtual Reality Parlour is here to make your fantasy a reality.